The Ohio Wesleyan University Women’s Soccer High School Camp is on the 17th of June. This soccer camp is open to all high school girls. Those in the 1st college are also eligible to join. Its objective is to immerse the attendees into the college level training and competition environment. It is also providing a venue for future collegiate players to display their exceptional skills. In addition, this high school camp aims to enhance both the technical abilities and the tactical understanding of the players. It will take place at the Jay Martin Soccer Complex in Ohio Wesleyan University campus. The program will run from 9 o’clock in the morning until 3 o’clock in the afternoon. Ohio Wesleyan University is a private, coeducational, liberal arts university in Delaware, Ohio. It is known for its Convocation ceremony that is held every start of a school year. It is a member of the Five Colleges of Ohio. The other 4 are Denison University, Kenyon College, Oberlin College, and the College of Wooster. Moreover, Ohio Wesleyan University, as a whole, has an accreditation from the Higher Learning Commission. Ohio Wesleyan is 95th in the National Liberal Arts Colleges, edition of Best Colleges rankings. Currently, it accommodates around 1,700 students. It also has 23 intercollegiate athletics teams. They are campaigning in the North Coast Athletic Conference of NCAA Division 3. Their nickname is the Battling Bishops while the athletics colors are black and red. The Ohio Wesleyan University women’s soccer team head coach is Nicole Ross, Cumberland, Rhode Island native. She is entering her 2nd season at the helm of the university’s women’s soccer program. Additionally, Coach Nicole Ross is a former assistant coach at University of Massachusetts-Dartmouth. She is also a former Springfield College graduate assistant coach. Then, the Battling Bishops women’s soccer assistant coach is Becca Madison. Finally, the team’s volunteer assistant coach is Ali Gary. 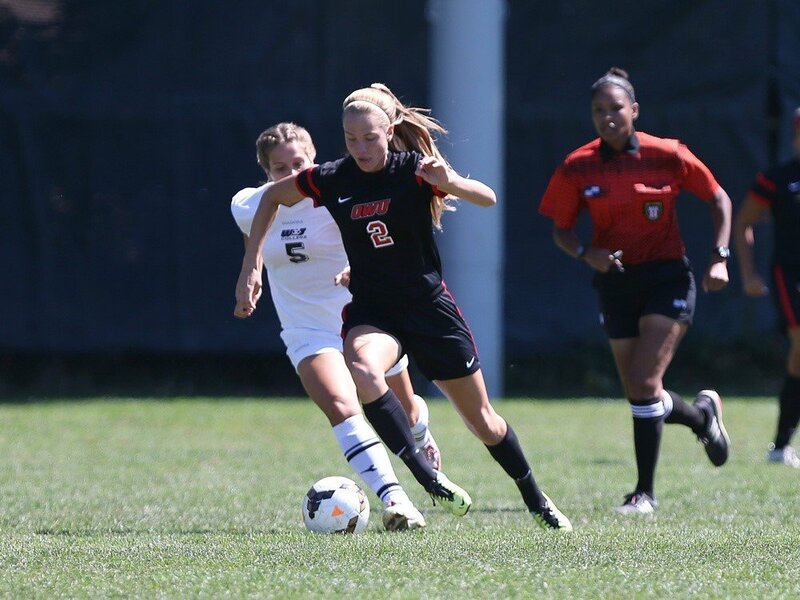 The Ohio Wesleyan University Women's Soccer High School Camp is a venue for future collegiate players to display their exceptional skills.